Strange things are afoot in Hope County. If you recall the batch of teaser videos Ubisoft released for Far Cry 5 earlier this week, you’ll likely recall hearing the hair-raising screams of a man seemingly in distress. Well, it looks like we now know exactly why the poor sod was emptying his lungs in the middle of nowhere. Ahead of Friday’s big reveal for the sequel, Ubisoft has released a new piece of key artwork for Far Cry 5 that provides a few hints as to what exactly’s going on in the steep hills of Montana. The image, which you can see in all its glory for yourselves down below, is affectionally titled ‘The Last Supper,’ a fitting reference to the Biblical event of the same name, only this reenactment has much more impressive beards on display. 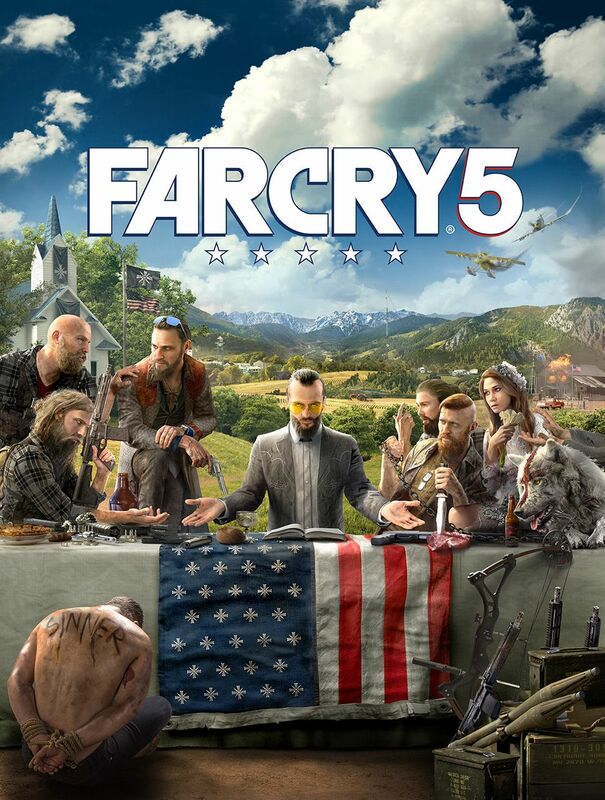 Now, I’m not usually one to judge a book by its cover, but I’m willing to hazard a guess that this particular group of individuals aren’t going to be your friendly neighbors in Far Cry 5 but rather, the very reason you’re here in the first place. Besides the image’s name, religious overtones are all over the place. As if a wild-looking dog with a cross painted on its fur, a church in the background and a woman in a wedding dress aren’t already enough to promote that theme, divert your eyes to the bottom of the image. Some poor bugger has had the word Sinner branded on his back and his hands tied. Not exactly upstanding members of the community then, eh? That’s more or less all we can glean from the image, but you can absolutely expect all of this to make more sense come Friday, when Ubisoft carries out its big reveal for Far Cry 5. Be sure to check back with us on May 26 at 9am EST for the full scoop.